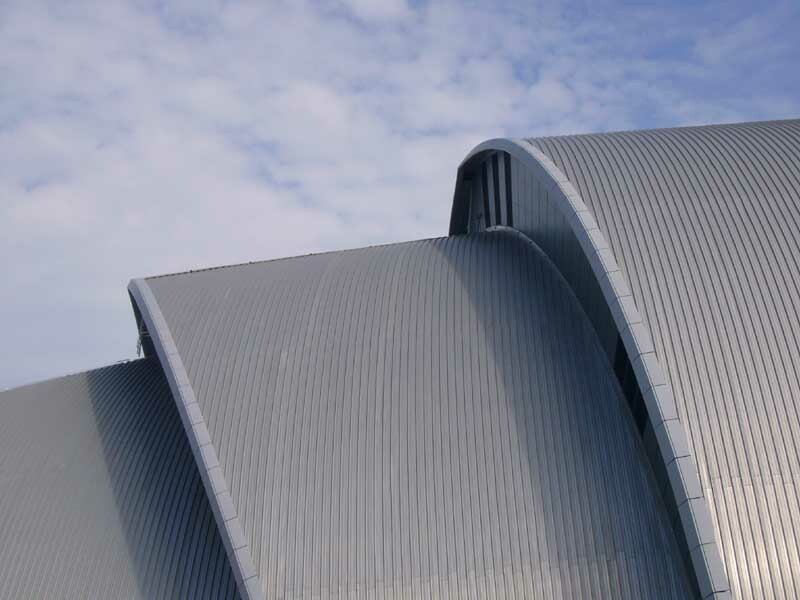 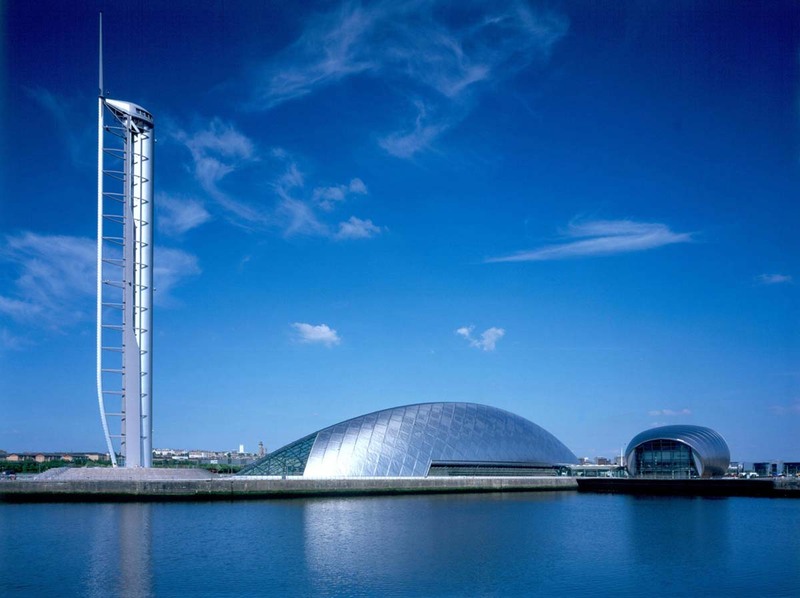 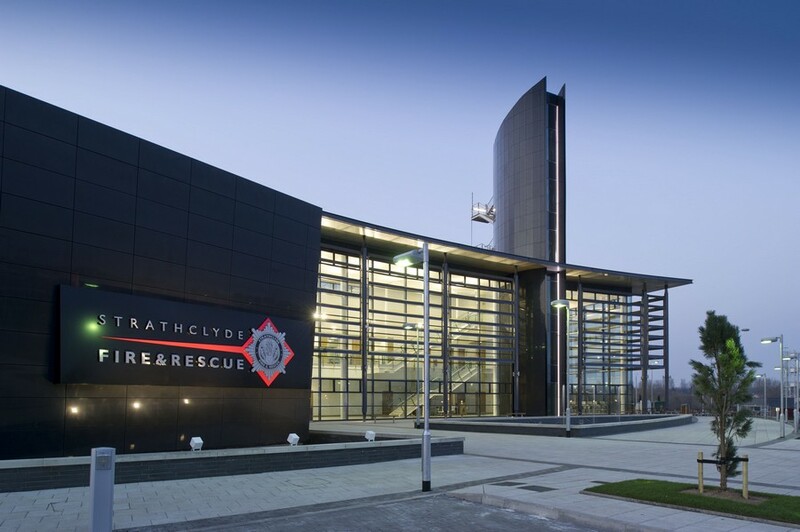 Strathclyde Fire and Rescue’s new Uaill Training Centre in Glasgow, designed by Cooper Cromar and described as one of the most advanced facilities of its kind in the UK, was officially opened on 25 January. 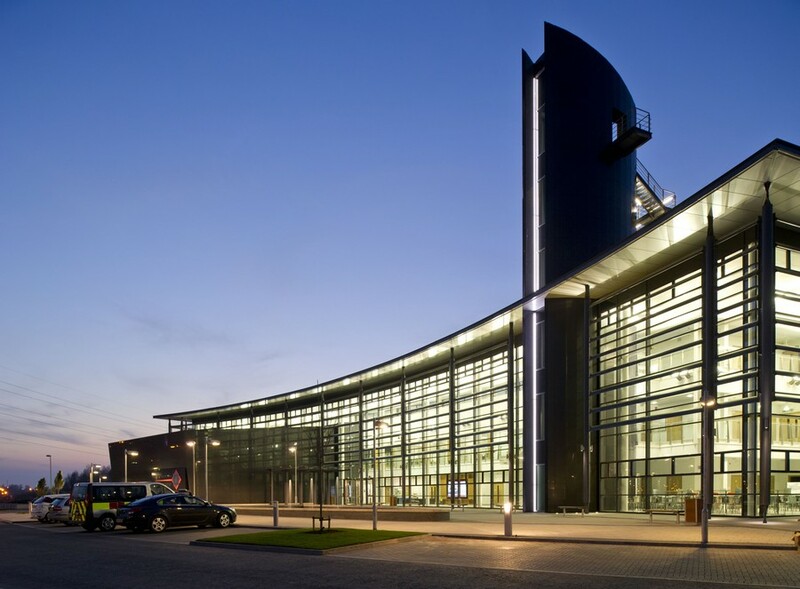 An eye catching academic building forms the hub of the 40 acre site, containing lecture rooms, an auditorium and an incident command training suite, while the outdoor grounds are separated into three hazard training zones to simulate residential, industrial and transport rescue scenarios. 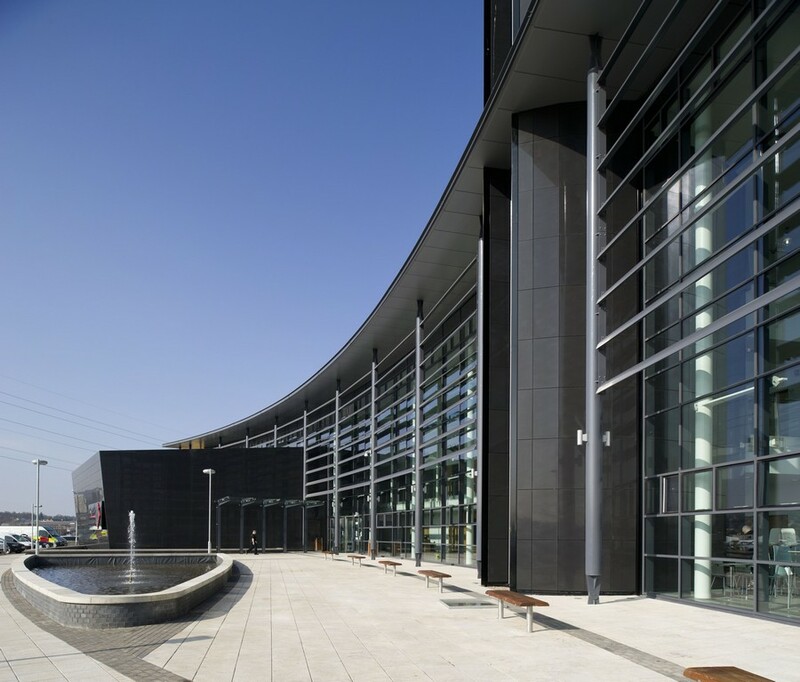 The £43 million facility includes a mock town where firefighters and their colleagues face scenarios including burning buildings, road traffic collisions and even train crashes. 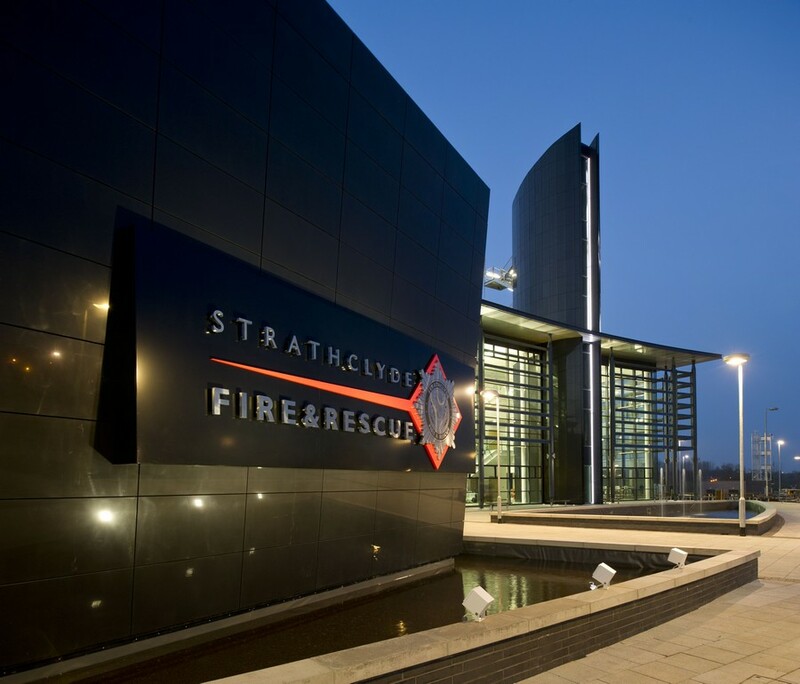 “Our firefighters will be turning up to a very realistic training experience which will be invaluable when they have to do it for real.” said Robert Scott, Area Commander of Strathclyde Fire & Rescue. 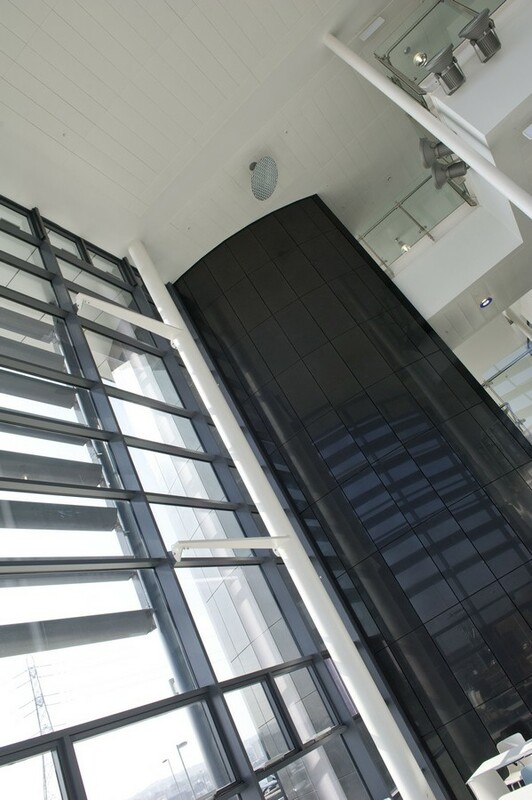 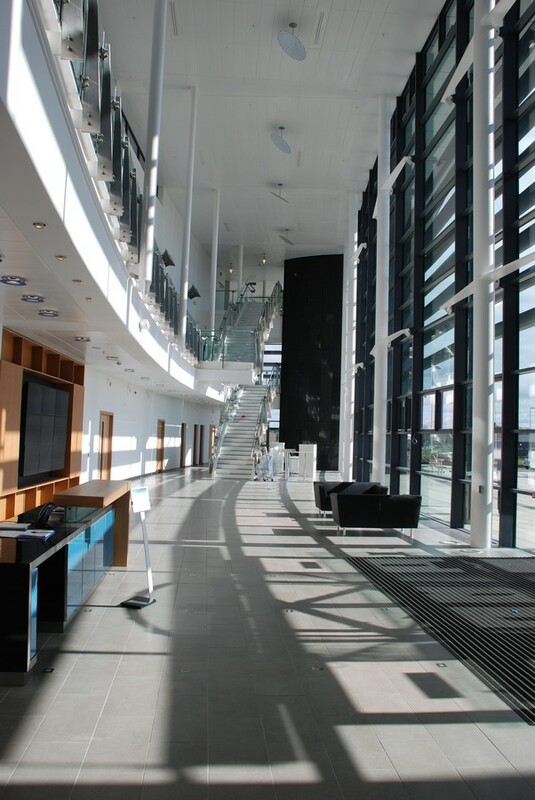 The academic building features a curved three storey atrium street connecting three radiating accommodation wings to the north; while its south facing glazed wall is relieved by brise soleil louvres and punctuated by the sleek black ceramic granite clad forms of the auditorium and observation tower. 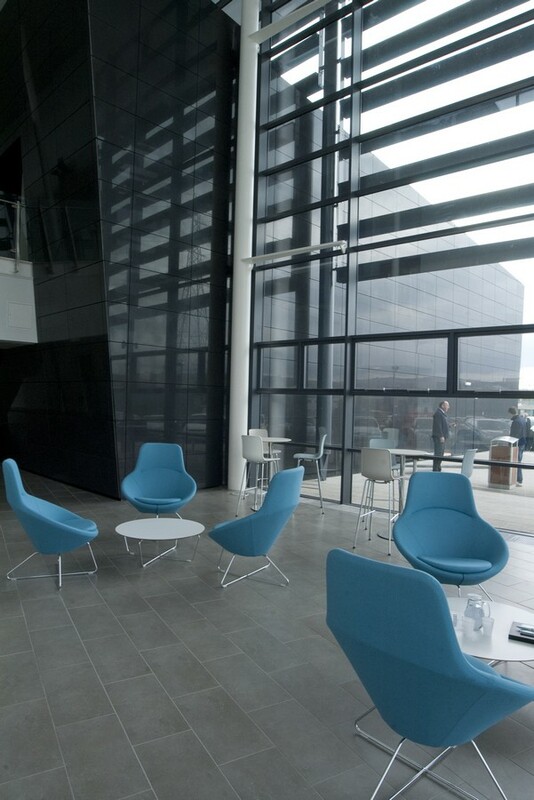 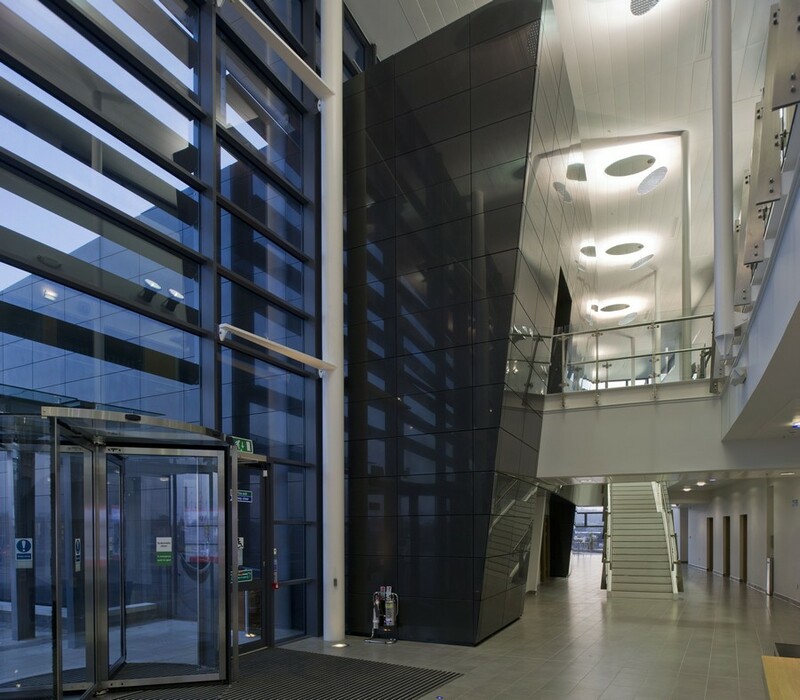 The building achieved a BREEAM Excellent rating, has a Biomass boiler and an exceptionally airtight envelope incorporating large expanses of glazing to maximise natural daylight and generous floor to ceiling heights to facilitate natural ventilation.